Wow! I’m so honoured and humbled to be listed by the Cold Tea Collective as one of the 18 Asian-Canadian Women You Should Know! Thank you so much to Natasha Jung for the feature :) I’m inspired by your voice in advocating women empowerment and bringing diversity to the forefront. Check out Natasha’s full article on Cold Tea Collective here! 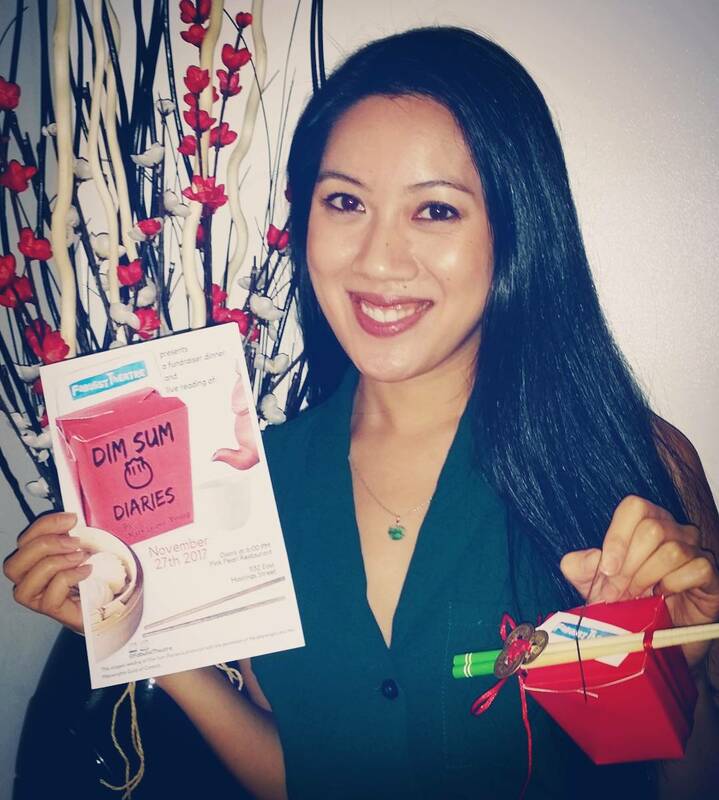 I had the pleasure of performing as Jenny in Fabulist Theatre’s Dim Sum Diaries this past week. The event was a fundraising dim sum dinner along with a live reading of Mark Leiren-Young’s Dim Sum Diaries at Pink Pearl Restaurant. The play was originally written as a radio show for CBC radio in the 1990s and it’s the first time Mark Leiren-Young has allowed it to be performed since then! Dim Sum Diaries is a show is based on five people and their perception of how Vancouver has changed since the influx of immigrants from Hong Kong in the 1990s. I played Jenny, a woman who immigrated to Vancouver from Hong Kong. After eating of a lovely dinner of BBQ pork buns, sticky rice and har gow to name a few, the evening finished up with a talk back with myself and the rest of the cast, our director Mary Littlejohn and the author Mark Leiren-Young. It was such a treat it was to meet and hear Mark share his journey with Dim Sum Diaries. Thank you for allowing us to perform your show Mark! A special thanks to all my family and friends who came out to support me <3.